The Best IELTS blogs from thousands of top IELTS blogs in our index using search and social metrics. Data will be refreshed once a week. IELTS newsletter is a comprehensive summary of the day's most important blog posts and news articles from the best IELTS websites on the web, and delivered to your email inbox each morning. To subscribe, simply provide us with your email address. Australia About Blog IELTS-blog has everything you need to prepare for IELTS exam by yourself. You will find here valuable information about the IELTS test, strategies, tips and secrets of success. Run by Simone Braverman. Facebook fans n/a. Twitter followers 15,739. United States About Blog Free IELTS Materials Download, Tips, Tricks, Vocabulary & Exam Preparation. Share Free IELTS Books and get Cambridge Practice Test Online. Facebook fans 156,409. Twitter followers 10. San Francisco, CA About Blog A community for teachers and learners of the English Language. Find Resources and Information for the IELTS exam. Reddit is a community of millions of users engaging in the creation of content and the sharing of conversation across tens of thousands of topics. Facebook fans 1,185,687. Twitter followers 543,323. About Blog IELTS Videos, IELTS Tips & IELTS Lessons for Free. Run by Elizabeth Ferguson. Facebook fans 147,546. Twitter followers 2,326. Facebook fans 14,993. Twitter followers 1,766. Facebook fans 272,427. Twitter followers 5,333. Berkeley, CA About Blog Our goal is to take the very best of traditional teaching and test prep and share it with students everywhere online. Everyone should have access to fun, convenient, effective ways to learn. We're currently helping you study for the GRE, GMAT, LSAT, SAT, ACT, TOEFL and Praxis. Use our mobile apps and online study programs to start prepping today. Facebook fans 44,181. Twitter followers 3,193. Manchester, UK About Blog Daily IELTS lessons with Simon, ex-IELTS examiner. IELTS writing, reading, speaking and listening. IELTS topics, vocabulary and grammar. Facebook fans 576,194. Twitter followers 1,237. Ho Chi Minh City About Blog IELTS Blog, IELTS Tips, Student Advice, Sample Answers and Lessons. Run by Christopher Pell. Facebook fans 695,780. Twitter followers 1,522. Toronto About Blog Canada's most popular English-Language test for study, work and migration. Facebook fans 1,421,358. Twitter followers 194. About Blog Pass IELTS with expert help. Browse our online IELTS courses and get the best start possible for your IELTS preparation. Easy to follow courses that work! Get feedback from IELTS professionals that want you to pass and improve. Facebook fans 37,803. Twitter followers 1,769. Facebook fans 286,164. Twitter followers 6,855. About Blog Free online IELTS lessons and practice tests with exercises and much more, with resources covering every aspect of IELTS - all absolutely free! Facebook fans 10,499. Twitter followers 74. About Blog IELTS preparation tips, IELTS videos & IELTS practice tests. IELTS Preparation Tutorials is an effort & product of MindVis to promote the correct IELTS preparation content with the candidates. Facebook fans 6,165. Twitter followers 50. About Blog We provide quality IELTS lessons for free by using TED talk videos. Facebook fans 3,589. Twitter followers n/a. About Blog Ielts7band is online training that helps you to revise and practice for your Ielts exam. With more than 100 video classes and practice tests in every area of the exam such as reading and writing,its a great way to start preparing for your test. IELTS7Band enables you to work at your own pace and train yourself on the vocabulary, grammar and the Ielts pattern etc. Facebook fans 2,248. Twitter followers 60. London About Blog My IELTS Classroom is the most-detailed online IELTS writing course every created, offering real lessons with a real teacher that produce real results. The Blog runs alongside the video course and contains inside information about every part of the IELTS exam. Facebook fans 13,238. Twitter followers n/a. About Blog The IELTS Academy Bangalore helps in scoring high band score in IELTS test, both in academic and general module of IELTS test. Facebook fans 1,195. Twitter followers 351.
karachi About Blog Sir Alam with 13 years experience, IELTS EXPERT will help you achieve your targeted band. Our mission at the IELTSExpert is to make taking IELTS in Pakistan as easy and hassle free for you as possible. We realise that you have busy lives to lead & you don't want to spend ages to prepare for IELTS and our experts will help you get your targeted band. Facebook fans 25,076. Twitter followers n/a. Facebook fans 4,324. Twitter followers 18. Facebook fans 739. Twitter followers 455. Facebook fans 6,432. Twitter followers 23. KITCHENER About Blog The posts on this blog will help you get the best possible score in IELTS. They have been written by British Council IELTS experts, IELTS authors, teachers and successful candidates. This blog is a perfect complement to Road to IELTS, the British Council's official IELTS preparation product. Facebook fans 438,832. Twitter followers n/a. Facebook fans 266,937. Twitter followers n/a. Doha About Blog Original IELTS Resources by Ryan who also runs an IELTS network forum www.ieltsnetwork.com and an IELTS related podcast www.ieltsielts.com/more/podcast/ , where he interviews successful IELTS candidates. Facebook fans 277,375. Twitter followers 157. Chandigarh About Blog World class, effective and result oriented test preparation for IELTS, PTE, TOEFL, spoken English courses and study abroad programs. Facebook fans 55,778. Twitter followers 279. Cambridge, England About Blog ELTS Pass features IELTS courses online and the best IELTS preparation material online. View our popular IELTS information, infographics, videos and more on the IELTS Pass blog. Download and share posts to help you approach the IELTS with confidence. Learn task types, skills and strategies needed to help you get the best score you can on the test. Facebook fans 11,570. Twitter followers 5. Bangalore, India About Blog The best coaching centre for IELTS in Bangalore, IELTS test tips & IELTS Blog. Founded in 2002, we are an elite institute in Bangalore imparting various career oriented trainings and overseas placement. Facebook fans n/a. Twitter followers 351. New Zealand About Blog IELTS Writing Task 2 lessons, sample answers and more! Facebook fans 17,503. Twitter followers 58. Bangladesh About Blog MRK IELTS providing free IELTS Tips & Tricks. Our focus is how to improve your IELTS Reading, Writing, Listening & Speaking skill. Facebook fans 15,677. Twitter followers 420. About Blog Lots of skills, activities, and resources for IELTS by an ex-IELTS examiner. Check our website for lots of useful resources and tips! Run by Ben Adams. Facebook fans 8,709. Twitter followers n/a. 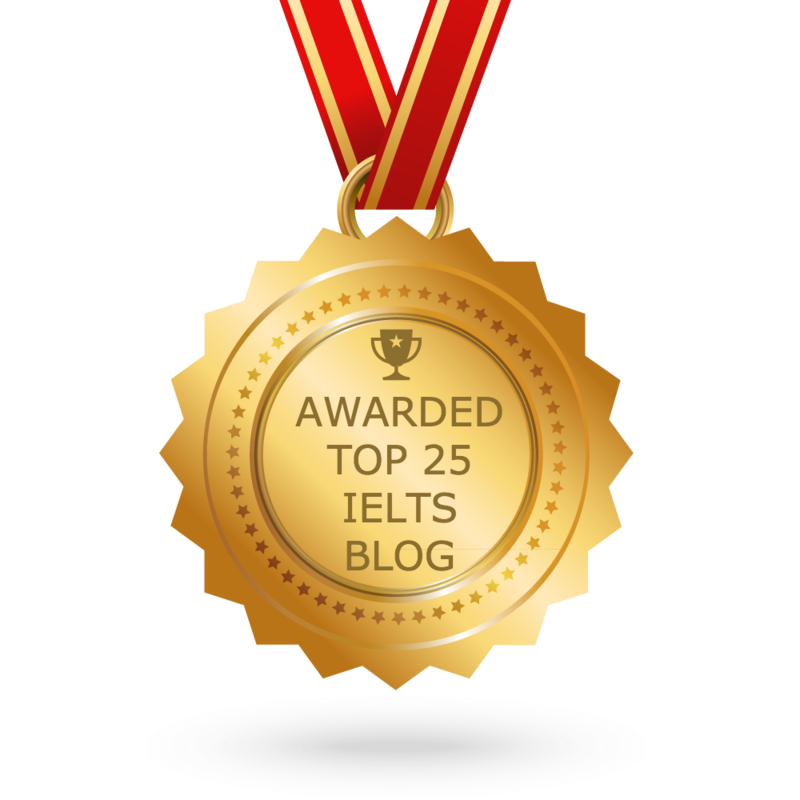 CONGRATULATIONS to every blogger that has made this Top IELTS blogs list! This is the most comprehensive list of best IELTS blogs on the internet and I’m honoured to have you as part of this! I personally give you a high-five and want to thank you for your contribution to this world.